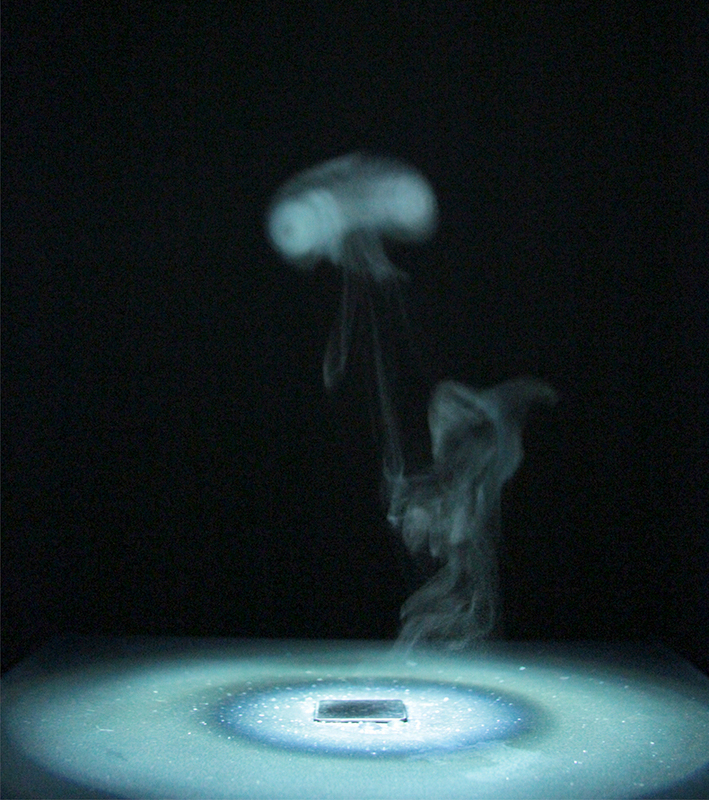 Once every 45 seconds a drop of water falls into a heated sheet of iron and is turned into vapor instantly. 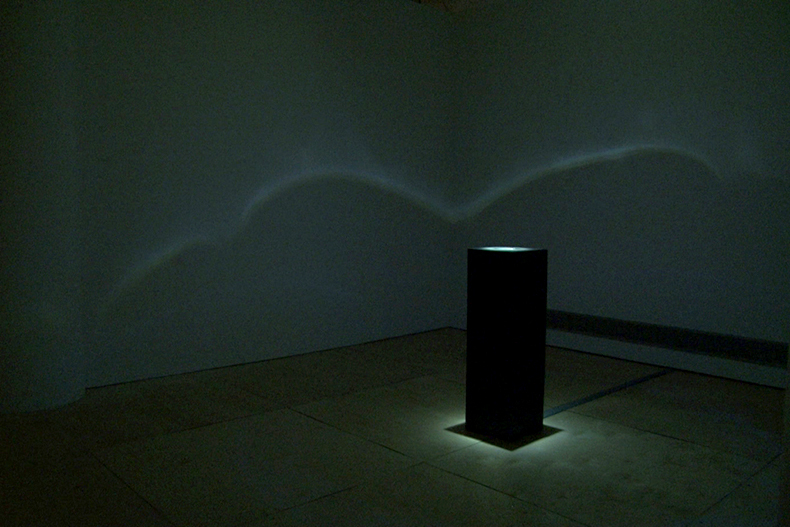 A unique and ephemeral shape is created with each cycle. 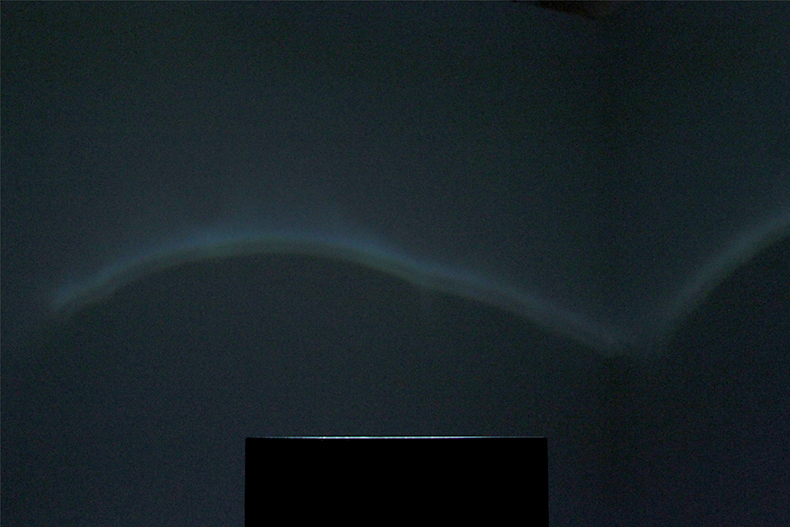 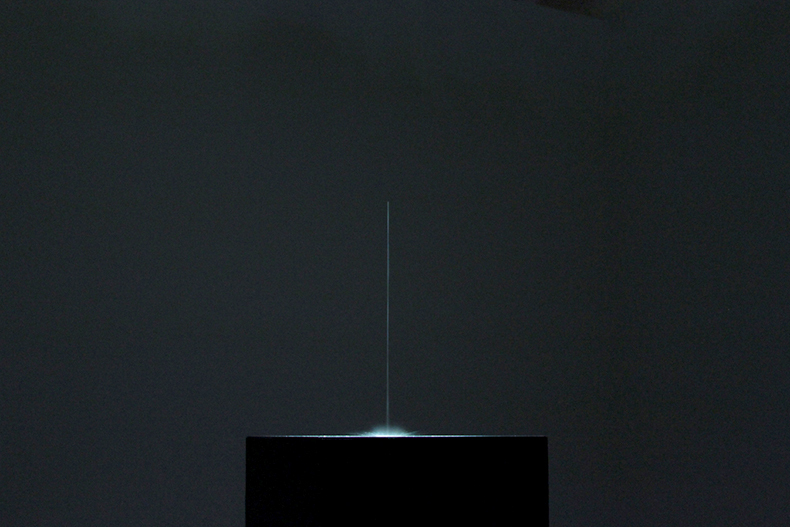 During the formation of the drop a moving line of light is rendered onto the gallery's walls as the consequence of the refraction produced by the growing drop of water.